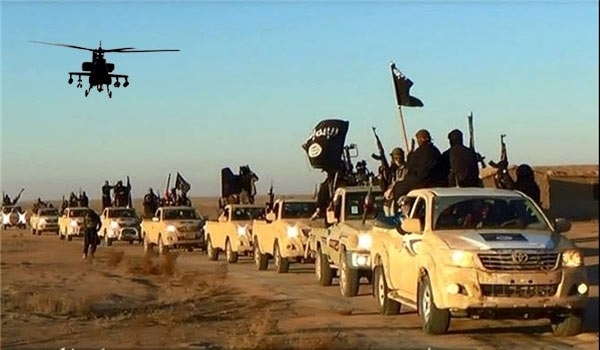 “The Arab media reported that the ISIL convoy did not open fire at the US chopper, which was flying in a very low altitude. Early in October, former CIA counter terrorism officer and Senate Foreign Relations Committee senior investigator John Kiriakou said the US congress armed the ISIL terrorists by providing weapons to the “moderate” opposition. The people of the world can no longer “blindly trust” anything that any 'government' continues to say about anything that “happens” in or near any war-zone, because of the spread of the global-infection of Political-Correctness that has just swept up Europe in its international claws. The global scene is working it's way up to bombing Syria, without Syria's permission, and in-spite of the facts on the ground which the Russian Air Offensive has only halfway completed: Which is what sparked the supposed “Terror Attack” in Paris: As the West's justification for continuing their war on Assad, while continuing to support the terrorists we have paid for and created every step of the way. Once the farce gets going once again, to justify US bombing raids, despite the fact that they've been a total failure for the entire year before the Russian's arrived in Syria; The new state of Terror in France and elsewhere will continue to drag Europe and the rest of humanity ever-deeper into that hopeless hole that “The Empire” will try to sell the global public on, again, just like they did to America on 911. The only thing that will change, because of this false-flag operation in Paris, will be the massive loss of freedom in France and throughout Europe ­ especially now as the full force of the invading hordes have already gotten inside the gates of Europe, that now sees the point behind the 'migration' and is trying to keep them out, but for too many 'nations' it's already too late. So what have we learned? This global attack on civilization.